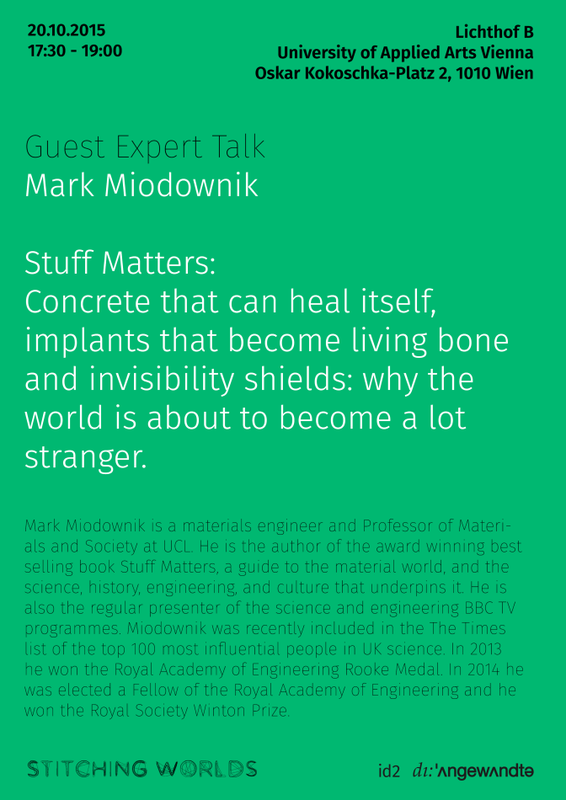 Mark Miodownik is a materials engineer and Professor of Materials and Society at UCL. He is the author of the award winning best selling book Stuff Matters, a guide to the material world, and the science, history, engineering, and culture that underpins it. He is also the regular presenter of the science and engineering BBC TV programmes. Miodownik was recently included in the The Times list of the top 100 most influential people in UK science. In 2013 he won the Royal Academy of Engineering Rooke Medal. In 2014 he was elected a Fellow of the Royal Academy of Engineering and he won the Royal Society Winton Prize.